Do any of your children play musical instruments? All of our girls took music lessons of some sort, but I don’t think any of them would claim to playing any instrument very well any more. Most of the girls have a piano in their home and sometimes will sit down and plunk away at it; I think most of them wish they had taken piano lessons longer than they did. How do you line up the stencil so it stays straight? One of the reasons I love stenciling is because I don’t think it has to line up perfectly straight! That’s the beauty of it. But I do try to make it look as good as possible (although I certainly don’t worry a lot about it). All I do is measure from the baseboard, and then eyeball it. . . I did a stenciling tutorial that is online that might answer your stenciling questions as well. Click here to check it out! I’d love to send Shalae a “Welcome to Georgia” card—can I send it to the home office? And I’d love to send Leslie a Get Well card; where do I sent that? And Can I send you a letter? You can send any of these to my attention at the home office (12907 South 3600 West, Riverton, UT 84065). I was looking at your family photo in the catalog, and noticed that Seth was listed twice and Cooper isn’t there at all. Is this a typo? Yep! Where were you when I was proofing the family photo catalog page!? We did correct this on reprints of the catalog, and I’ve determined to take a little more time when I’m proofing next time! Will demonstrators who didn’t attend convention get a chance to purchase items from the Memento Mall? We do sometimes have leftover Memento Mall items available for sale to our demonstrators while supplies last. Items that sold out (some clothing items, the Stampin’ Up! bear, etc.) will not be available. Our goal is not to have any leftover items at the mall; we work to offer Memento Mall items that are popular and affordable and that demonstrators love! There need to be some perks that are available only to those who attend convention; it makes convention special and fun! The Memento Mall is one of those perks. . . .sorry. As a side note, several of you offered some suggestions for making the Memento Mall line shorter. I have forwarded those to the appropriate department as well! Thanks for sharing your ideas! 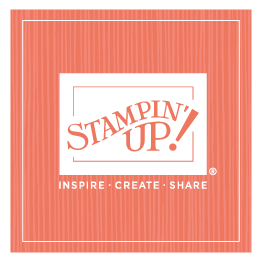 How did your girls feel/deal with having Shelli Gardner, the CEO and co-founder of Stampin' Up!, as their mom? How do they feel about you spending so much time on the business when they were younger? I don’t think the girls really think of me as the CEO and co-founder of a company; I’m just their mom. They certainly don’t treat me in any special way. . . you know what I mean. I’m just “Mom." I’ve mentioned before that one of my few regrets is that I didn’t have a better balance between family and Stampin’ Up! in the early years—I continue to work to try to make that a better balance today. Earlier on, the girls would occasionally express resentment about the time I was spending at work. However, they all realize now what a tremendous blessing Stampin’ Up! has been in our lives, as well as the lives of people all over the world. They are grateful for the blessings we enjoy, and for the opportunity to make a difference in other people’s lives too.